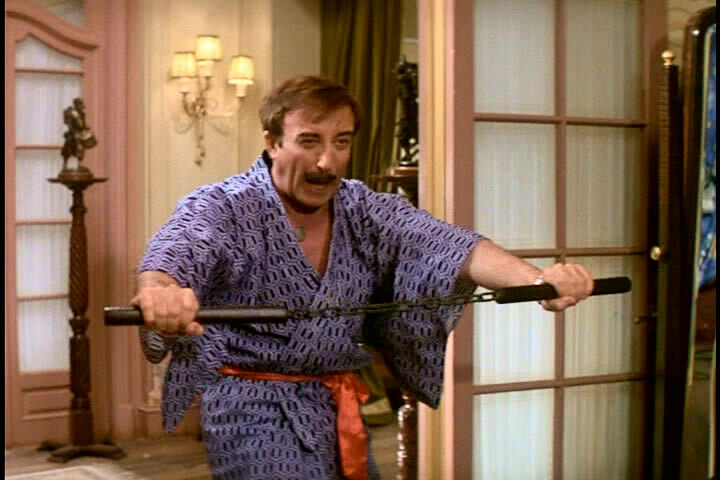 THE RETURN OF THE PINK PANTHER—-eleven years after A Shot In The Dark, director-scenarist Blake Edwards, star Peter Sellers, and ‘the Panther’ bring their bumbling detective back into the pratfall business (no one counts 1968s Inspector Clouseau, with Alan Arkin). 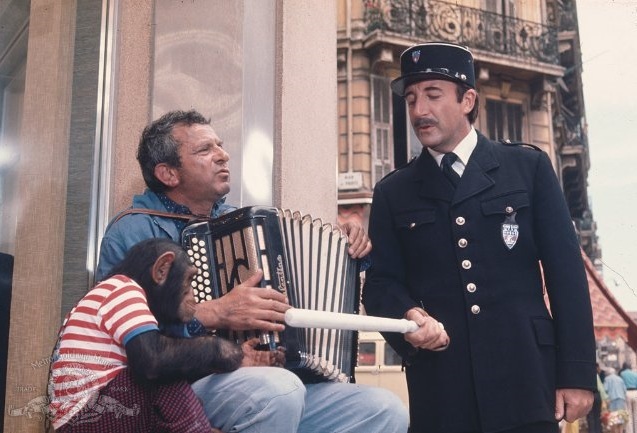 In 1975, it generated big results ($42,000,000) and paved way for several lesser sequels. 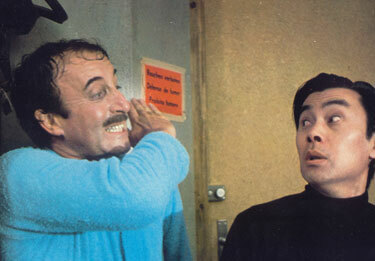 Sellers has some spectacularly destructive bouts with valet Kato (Burt Kwouk), but they’re the highlight; the rest of the flick runs out of steam after a while, and at 117 minutes it gets tedious. People who love ‘Panther’ pix will stick with it (it got a lot of happy buzz at the time); others will grab a few chuckles and look for their copies of the first two classic installments. It is notable for a memorable conversation revolving around a “muinkee”. With Christopher Plummer, Herbert Lom, Catherine Schell, Peter Arne, Gregoire Aslan, Eric Pohlmann and Victor Spinetti.